Enhance your email marketing campaigns with an email checker. Emails are a great mode of communication and it can bridge companies and individuals directly. On the other hand, your email campaigns will be rendered unsuccessful if you have a database full of inactive or erroneous email addresses. Many online business fail to check email addresses before sending out their materials and if that happens, your email address may land in the recipients spam folder making your campaigns useless and a waste of money. It’s really a waste since you have put in money, time and effort in making those campaigns only for them to be unread. Many people tend to update their emails over time. It can be a change in their companies or use it as a temporary email for certain uses or they just don’t want to give out their personal emails. However, these can all impact your email campaigns when you fail to update their information on your site and still keep sending emails to the old addresses in your database. If you fail to use an email checker to check the validity of these emails and still continue to add them to your email campaigns, then internet service providers such as Google, Bing and Yahoo will have a negative impression on your actions. They will put you in the spammer list thinking that you are generating random emails to send your mails to. If this goes on then you will eventually be blocked and further communication will be halted. This will directly affect your marketing strategies so avoid wasting your time, money and effort. Clean your email list with an email checker and update your database. How important is it to check emails in your list? There are a lot of emails sent worldwide each day. These emails can will either be read, unread or be put in the spam or trash upon receiving them especially if the email is sent to the wrong person. Checking your email lists can help your email campaigns and make them more effective since you know that these are valid emails, belong to the right recipient and can even be monetized especially if you are an online seller. Many people would check their emails right away, especially that emails can be easily accessible to other devices other than just computers. If people see that these emails belong to a site that they have subscribed in then it has higher chances of being opened than those that aren’t. Manually checking emails can be done but it’s not advisable since it can be very time consuming and will not be able to sift through all the emails on your list especially if you have hundreds of emails in your database. That’s why you need an email checker. 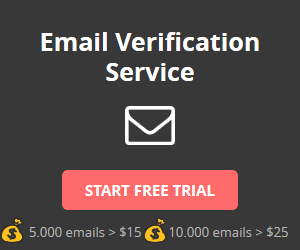 There are lots of available software online that you can use to verify the validity of emails in your lists. Checking for missing syntax can be a good start but it’s not enough to determine if the emails are valid or not. What’s important is that you know these emails are active and capable of receiving messages and will not bounce back. A high bounce rate in emails can be bad for your reputation as a sender. Internet service providers tend to flag senders which have a high bounce back rate, either you’ll be labeled a spammer or you can instantly be blocked from sending any more emails. Both can be a big blow to your business, avoid that by checking your emails before including them in your campaigns. With an email checker you can instantly remove all the invalid emails on your list to ensure that you have a clean email list and can effectively market your business.